October 31 is World Cities Day. Do we actually need such a day? I think we do need one, as today over half of the world’s population lives in cities. By 2030 this is expected to be closer to 60% and by 2050 this may be as high as 70 or even 80%. This sets unprecedented challenges – and opportunities – for humanity. No wonder sustainable cities and communities are part of the Sustainable Development Goals. 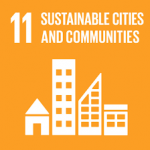 More specifically, SDG 11 calls for inclusive, safe, resilient and sustainable cities and human settlements. Today, cities occupy about 2% of total land, and they are occupied by about 50% of total people. That might sound a bit close for comfort, but the real issues are really quite uncomfortable. Just consider the environmental impacts of urban dwellers: the 50% of people in cities consume over 60% of global energy, emit 70% of greenhouse gases and generate 70% of global waste. 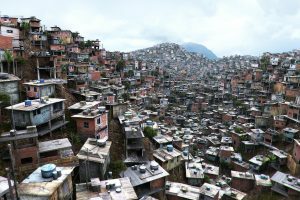 And of course there are social issues in crowded cities as well, health issues stemming from environmental challenges, but also living conditions in slums, intolerance and inequality within and among different groups of people. And this could get even worse as more people migrate to cities in search of a better life. In many places, population growth outpaces available land, outpacing the ability of city councils to sustainably plan city expansion. Unplanned city growth into slums undermines several factors of sustainable development. Access to clean water and sanitation becomes more challenging, as does planning for access to education. Also, per capita carbon dioxide emissions and hazardous pollution per capita increase when cities grow unplanned. But it’s not all bleak and threatening, as well-managed urban growth creates opportunities for employment and wealth and it fosters diversity and social cohesion between different people. New neighborhoods are much better able to set up infrastructure for renewable energy and a more sustainable use of natural resources. Many existing cities are also changing to best look after its people, its local environment and the financial stability in a more holistic way. Check out the Sustainable Cities Index to find out which cities score well. The aspiration to create more sustainable cities fuels innovation in many areas, all across the Sustainable Development Goals. National governments, city councils, companies, NGOs and citizens are working together at different scales to generate ideas and translate them into action. And at the supranational level, the United Nations is actively involved as well. In October 2016, they staged the Habitat III conference in Quito Peru, the Conference on Housing and Sustainable Urban Development. If you google images of “sustainable cities”, you’ll end up with a screen full of inspiring pictures. Lush, green urban developments, with clean air and water, housing incorporating trees and energy sources, urban farms growing food and mining precious natural resources to be recycled. People living close together, yet much more in harmony with nature than most cities offer today. Places that I would probably be able to consider home in the foreseeable future. What does your sustainable city look like? Where and how would you like to live in your ideal sustainable city? And what will you contribute to this city? Written by Marjolein Baghuis (@mbaghuis) for Change in Context. To read interviews, book reviews and other posts about change, communications and sustainability, please subscribe.